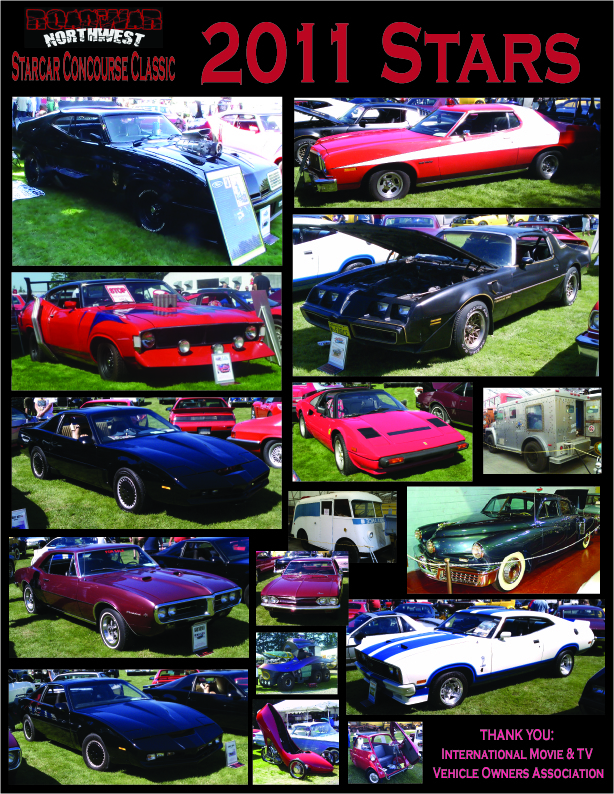 From all accounts, this was one of the Best Roadwar NorthWest - StarCar Concours Classic shows yet. We would like to thank the International Movie & TV Vehicle Owners Association for bringing out so many beautiful Hollywood Hotrods! Present outdoors at this years show were: Max's Interceptor and the XA Bat (from the Roadwarrior) of course, along with a Factory XC Cobra (Chopper), Smoky & The Bandit's TA (Bandit 2), 2 KITT's (Knightrider 3rd and 4th Seasons respectively), Starsky & Hutch's 'Striped Tomato' Gran Torino, Magnum P.I's Ferrari, The 67 Firebird from Bad Boys 2, Steve Urkel's BMW Isetta (Family Matters), The Corvair from That Darn Cat, a one time 'B-Movie' Space Vehicle turned DJ Booth for Seaworld, and even Jay Ohrberg's "Stelleto Shoe Car"! 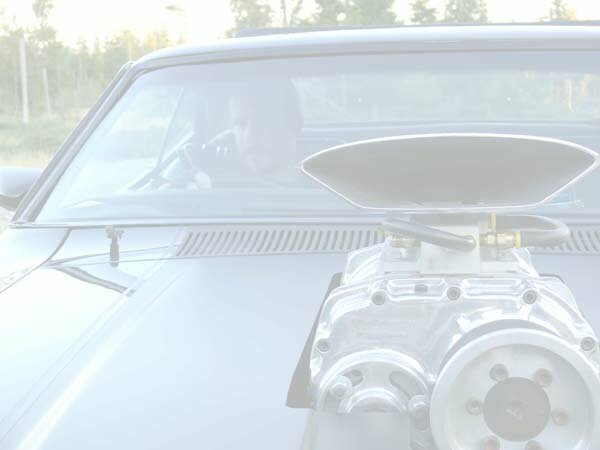 Many of those vehicles participated in 'Americian Movie Car Association' judging, this being the first AMCA sanctioned event in Washington State. Several even took home awards in the Replica and Stock Replica classes. Inside some of the buildings you could find the "Money Bag Security" Armored truck- Dunk tank (from "Monster Garage"), a real Tucker 48 (used in the film Tucker), a Vintage Studebaker ambulance and Ford Paddy Wagon from Hollywood's golden years, and MUCH MUCH more! If there was only time at this short event to document all the cars that have Hollywod ties, the list would be to long to post here anyway. Unfortunately, due to the Museum's new building in downtown Tacoma opening up soon, Christine, the Flintmobile, Animal House's DeathMobile, and a few other collection cars were not on display this year while being set up in the new diggs. Still, visitors were also able to see the over 1,000 vintage, classic and specialty automobiles, trucks, and motorcycles from the LeMay Collection, plus hundreds of collector cars brought in from around the world by event attendees. In addition to the cars, there was also automobile-related vendor displays, and an auction of classic cars, Live classic rock, and great food. The LeMay Family Collection's Openhouse is always a great event. With this being the 5th year they have hosted the RWNW-SCCC at their event, we we have become a expected and anticipated attraction and it seems like everyone (Spectators and Staff Alike) stops by to say how cool it is that we are there. So thank you all for the warm reception, and we will gladly show again next year!